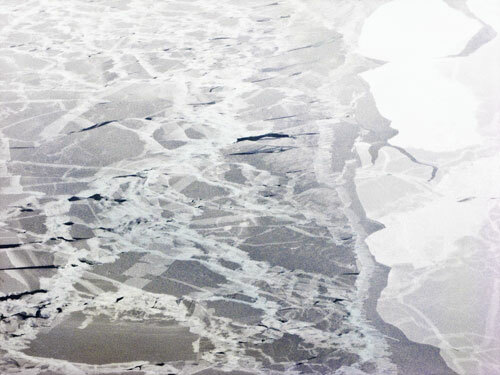 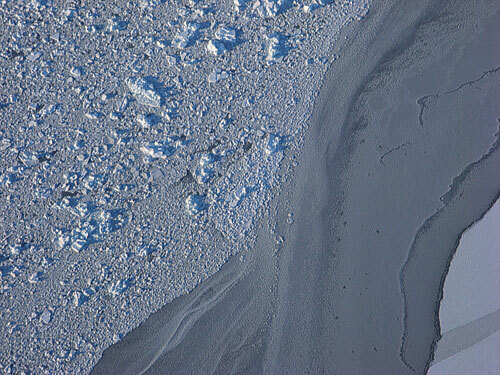 Disorientating in its lack of scale (the vast tracts of sea ice are often mistaken for the microscopic, emphasizing the multiple layers of our spatial engagement), these abstract images reveal both the power and fragility of the frozen world. 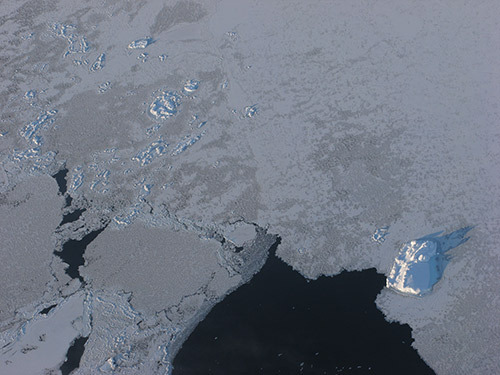 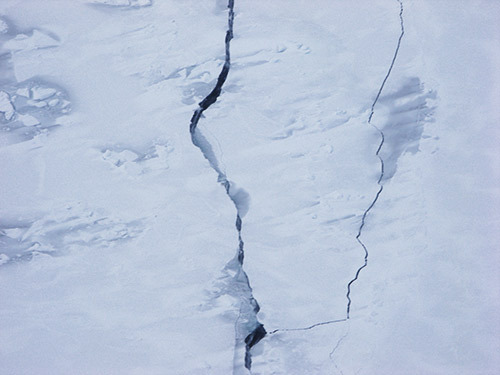 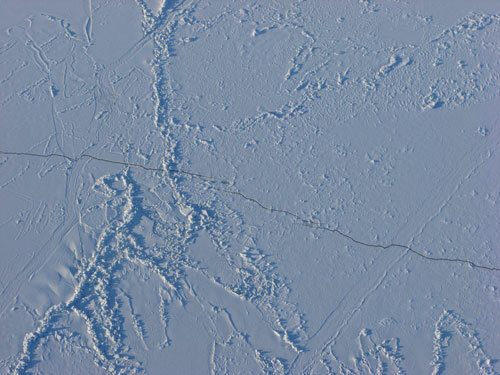 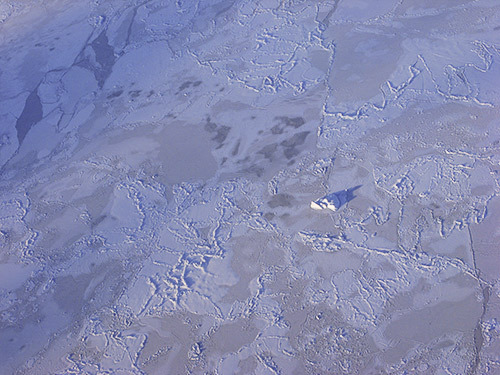 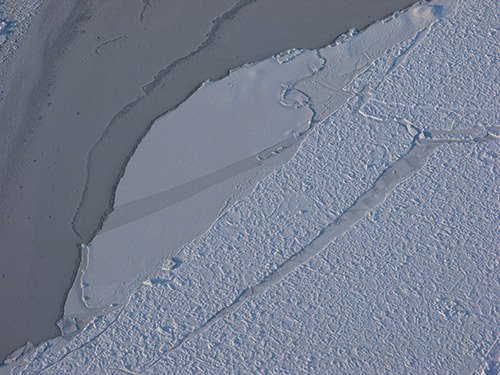 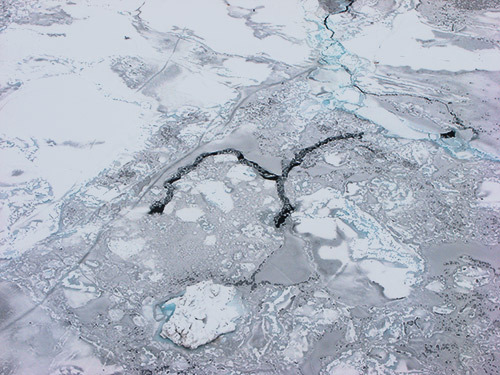 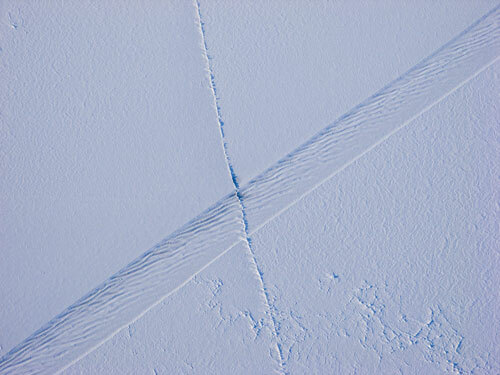 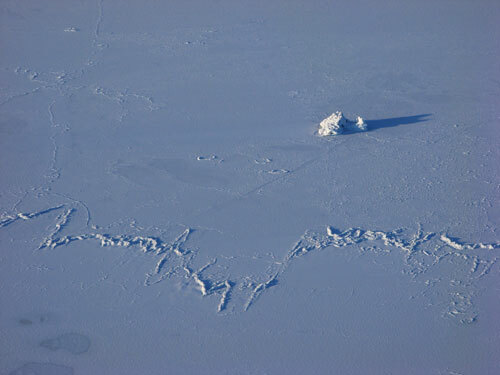 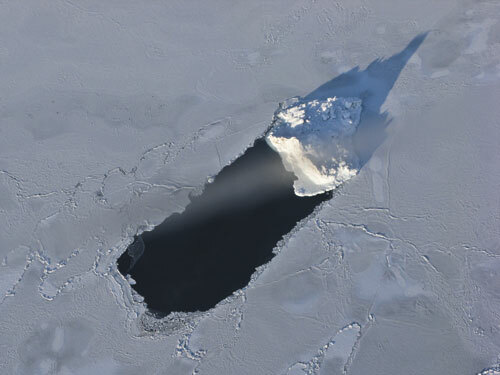 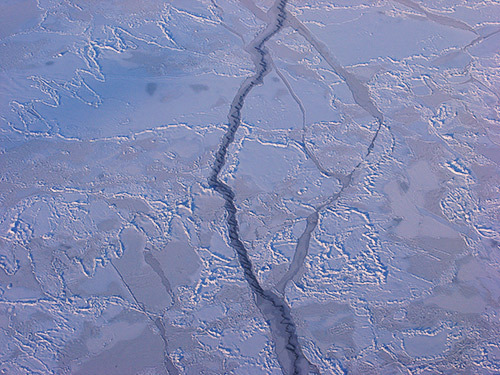 The cracking and buckling of sea ice suggest, also, a metaphorical fracturing and compression, a tearing of the fabric of the planetary ecosystem, a rupturing of our symbiotic relationship with nature under intense human-induced pressures. 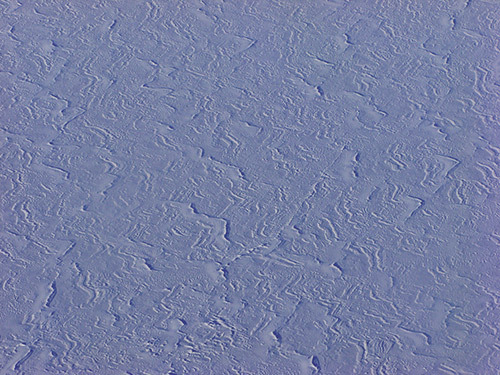 Studies in Sea Ice by Roberta Holden is a work of colour archival prints taken by helicopter between the communities of Ummanaq and Nuussuaq on the northwest coast of Greenland (a region that has undergone a dramatic warming trend over the past ten years) as part of her March 2009 Artist in Residence with the Upernavik Museum in Upernavik, Greenland. 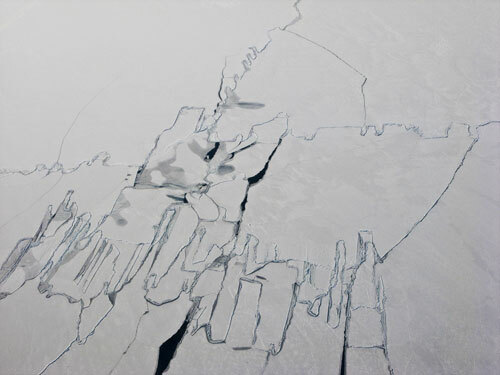 Prints are available in a limited edition of 8, 24” x 36” C-prints, as well as select images available as a special limited edition of 4, 48″ x 72″ C-prints. 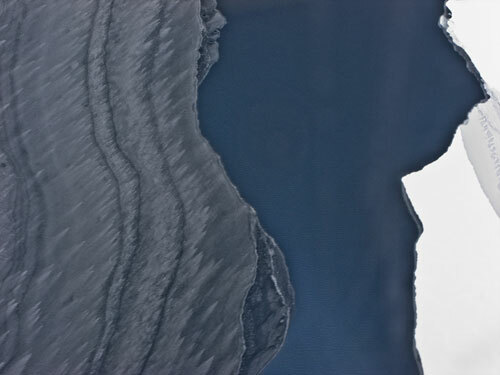 Exhibition prints are mounted on aluminum.